For the last few months I have been planning out a large hand puppet that will involve a fake arm. The puppet is a character from a video game called 'The Last Guardian" and resembles a bird,dog,cat...rat?! haha. Anyways, Upon construction of the head, I realized the snout of this creature is not cover in fur as I initially thought. More so a skin like beak! I had carved out a snout with upholstery foam in the right shape. I watched a video about covering upholstery foam with latex and the end result looks very skin like and organic. I am wondering what latex would be ideal for covering upholstery foam in several layers? The video did not explain the latex used and it quite dated! Liquid latex comes under a lot of different brand names, application names (like slip, balloon, etc), and formula names. You may want to seal the foam first with something like 3M spray on adhesive or even a spray on rubber like "flex seal" to help prevent the foam from soaking up all the latex and becoming heavy. The sprays go on light and fill the surface rather than soaking in like a brushed on liquid would. Also, I know the character you are talking about, and I can't wait to see what you make! Please share some of your progress pics with us here. Thanks so much for the speedy response! I'm so happy that you also know the character, that's great! It's a pretty big project for me. First time making a puppet! Thankfully, I have some help by someone named Terry that use to build muppets for Jim Henson. We are experimenting with some eyelid movement! Once again, Thanks for you advice. This will make things much easier for me and achieve that nice skin/beak like texture while not being too heavy. Hey Guys Im trying to make a moist looking worm puppets and I have a couple of questions. 1.) Wondering about painting foam with something like UreCoat from smooth on? Still use Super 77 base coat? And would design master spray paint work on top of it? 2.) Alternatively what about painting on silicone caulk. Is it the same process with 77 base coat and design master on top? I would probably still seal the foam to prevent UreCoat from soaking in too much, but you can also try a test on a small piece of scrap foam to see how it turns out. With silicone caulking I would imagine you wold not need to seal the foam since the silicone is so thick, but again, doing a small test on scrap is never a bad idea! I've not tried design master spray paint on UreCoat, so I can't say for sure how that would turn out. Not to sound like a broken record, but you could run a test! Wow this is a little late but I just thought I'd add some info. 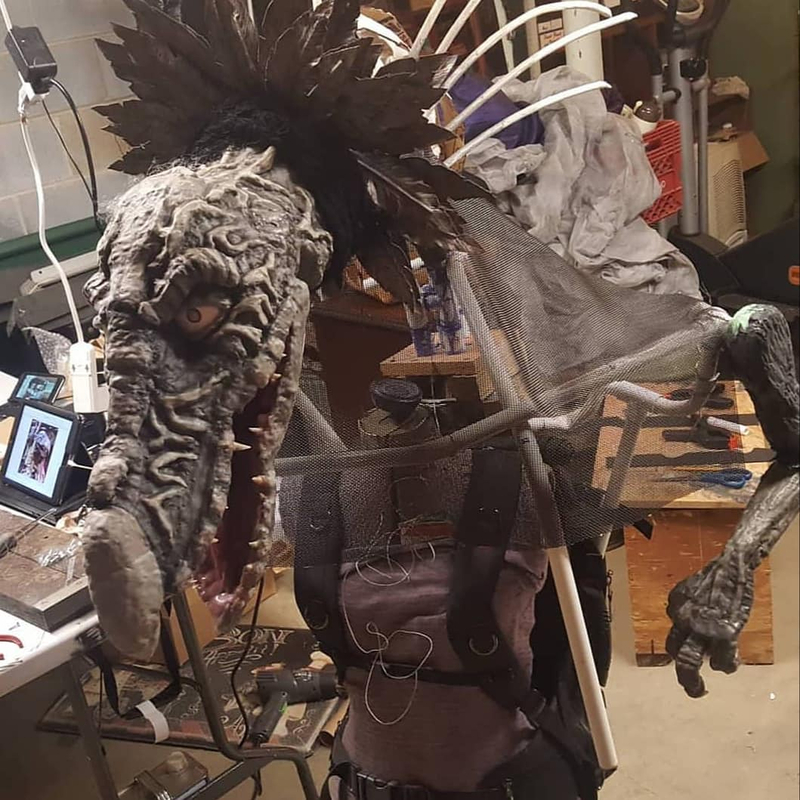 I made a skeksis out of upholstery foam and dragon skin pro, I just brushed it straight on the foam and brushed on about 2 layers. I painted it with psycho paint and it increased the thickness so it made a nice skin on the foam.